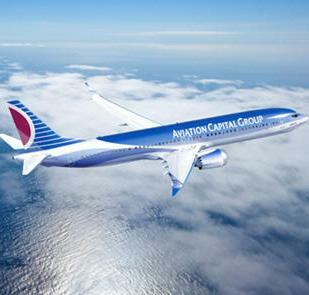 January 2, 2013 - Boeing announced an order by Aviation Capital Group (ACG) for 60 737 MAX airplanes. ACG's order, consisting of 50 737 MAX 8s and 10 737 MAX 9s, was finalized in December 2012. The 737 MAX has now accumulated more than 1,000 orders to date. "This order is a major step in building our broad portfolio of modern, fuel-efficient airplanes," said Denis Kalscheur, chief executive officer of ACG. "The 737 MAX enables us to offer our customers airplanes that provide the fuel efficiency, reliability and passenger comforts needed to grow in tomorrow's marketplace." The order, worth $6 billion at current list prices, further illustrates the strong demand for the 737 MAX in the airplane leasing industry. "We are proud of the confidence that ACG has placed in the 737 MAX," said John Wojick, senior vice president of Global Sales, Boeing Commercial Airplanes. "The 737 MAX will deliver to ACG's customers unsurpassed efficiency in the single-aisle market as well as improved environmental performance." The Next-Generation 737 is the most fuel-efficient and reliable single-aisle airplane today with an 8 percent per-seat operating cost advantage over the nearest competitor. The 737 MAX builds on these strengths with advances in fuel-efficiency and environmental performance. Equipped with new LEAP-1B engines from CFM International and improvements such as the Advanced Technology Winglet, the MAX reduces fuel burn and CO2 emissions by 13 percent while maintaining the 8 percent operating cost advantage over future competition. These efficiencies have powered the 737 MAX to the impressive order milestone. With ACG's order, the 737 MAX has orders for 1,029 airplanes from airlines and leasing companies worldwide. "Reaching 1,000 orders in just over a year's time from our first order validates the exceptional value the 737 MAX offers our customers," said Bob Feldmann, vice president and general manager, 737 MAX. "Customers are expressing confidence in our ability to deliver improved performance on schedule."